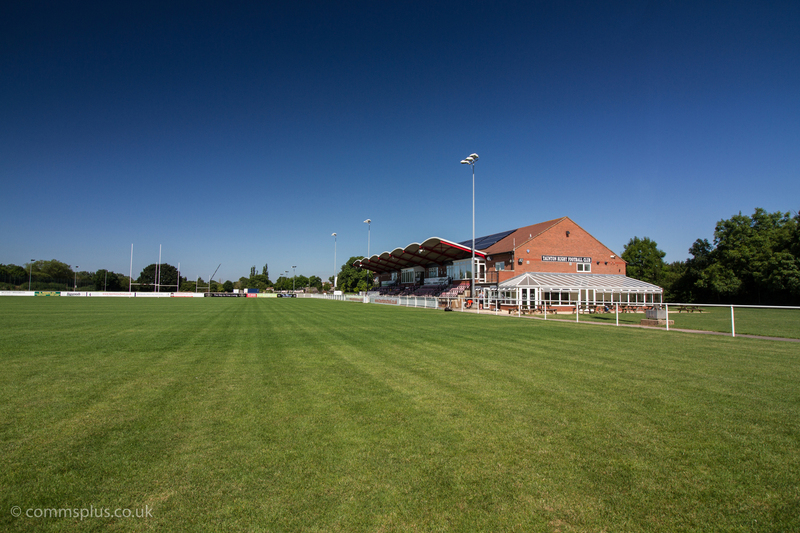 Commsplus rename Taunton Rugby Club's grounds as the 'Commsplus Stadium'. Commsplus officially rename the Taunton Rugby Club Ground at Hyde Park. The ground is now known as the 'Commsplus Stadium'. Our partnership with Taunton Rugby Club began back in 2011; when Steve Collard, Managing Director of Commsplus, attended his first game at the local ground in Taunton. Starting out as a bronze level sponsor, the partnership slowly blossomed and Commsplus duly became the main sponsor for Taunton Rugby Club. Commsplus have spent many years working in partnership with Taunton Rugby Club and by becoming Taunton's main sponsor, they were able to give something back to the local community. Commsplus supports all of the teams at Taunton RFC, from the Under 6's to the Taunton Titans First team who play in the national league 2 south division. The rugby kit can be seen with 'Commsplus' branding across the chest of the players. 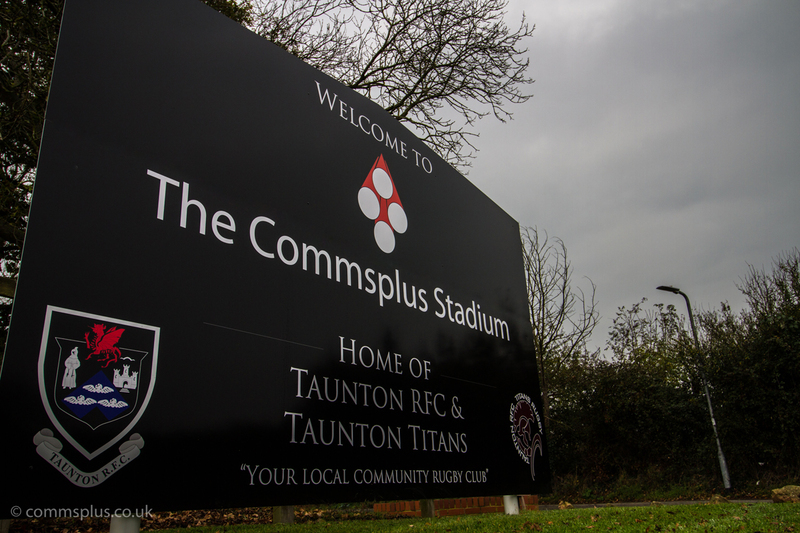 In October 2017, Jack Matthews, President for Taunton RFC and a long time friend of Steve Collard, came to Commsplus with the proposition of a ground naming partnership - a first for both Taunton and Commsplus. Commsplus had been a sponsor for over 7 years and, keen to further their relationship, Steve accepted Jack's offer and the stadium was officially renamed to the 'Commsplus Stadium'. Work began shortly after the official renaming to unify the new branding of the stadium. Commsplus invested in some new signage for Hyde Park. Starting off with two brand new 8ft gate signs framing the entrance to the grounds. Both sporting the new name of course. Work began shortly after the official renaming to unify the new branding of the stadium. Commsplus invested in some new signage for Hyde Park. 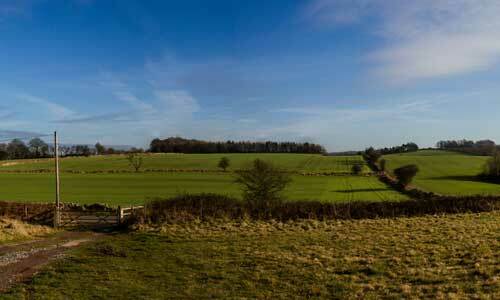 Starting off with two brand new 8ft gate signs framing the entrance to the grounds (right). Both sporting the new name of course. These two signs were swiftly followed by a large perimeter banner across the width of the Taunton Titans rugby pitch displaying the new name for the stadium. 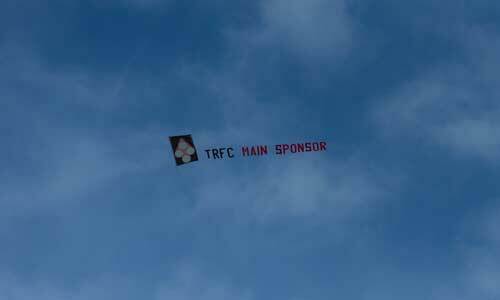 The final sign was erected atop the pitched side of the Taunton club house, accompanied by automatic lighting. The cherry on top of the cake. Commsplus are proud to sponsor Taunton Rugby Club and we look forward to our long and prosperous relationship with them continuing into the future.